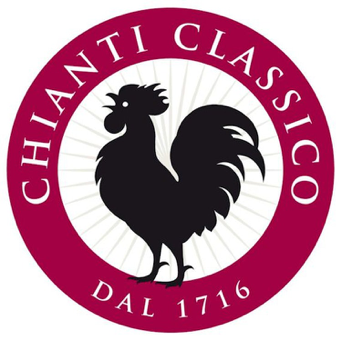 The symbol of Chianti Classico is the black rooster. Why? The legend says that in the 13th century Florence and Siena decided to use a horse race to end their land dispute over the Chianti region. The point at which two knights - one from Florence, one from Siena - met at dawn when the rooster crowed would mark the new borders of their territories. Florence cheated a bit by selecting a black rooster and keeping it unfed for a few days. So, on the appointed day, he crowed much earlier than dawn allowing the Florentine knight to leave much earlier than the knight from Siena, meeting him only 12 km from the Sienan walls. Since then, the black rooster has been the symbol of Chianti. 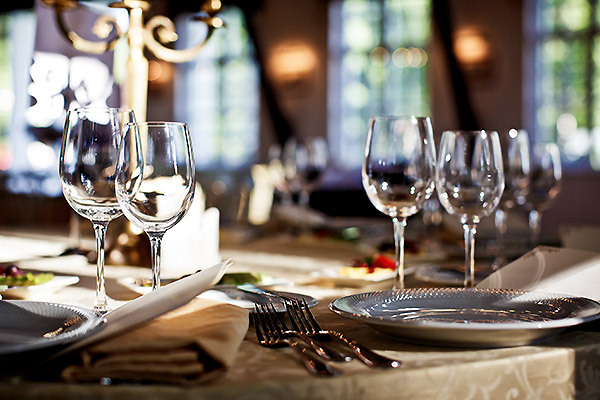 Wine has been produced in the Chianti region since Etruscan times, over 2000 years ago. The earliest incantations of “Chianti” as a wine dates back to the 13th century when it was produced as a white wine. In the middle ages, the villages of Gaiole, Castellina and Radda formed the “League of Chianti” which created an area that would become Chianti Classico. As the wines of Chianti became popular, other villages wanted to get in on the act and have their lands known as Chianti as well. Therefore, the region's boundaries have changed over the years. As the boundaries changed so did the composition of the wine. 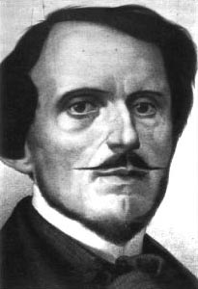 Baron Bettino Ricasoli (future Prime Minister of the Kingdom of Italy) created the first “Chianti recipe” in 1872. His formula consisted of 70% Sangiovese, 15% Canaiolo and 15% Malvasia bianca. In 1967, the Italian government altered the formula to Sangiovese plus 10 - 30% Malvasia and Trebbiano. The late 19th century saw oidium and phylloxera epidemics take its toll on the vineyards. Chaos and poverty followed the Risorgimento and heralded the Italian diaspora that would take Italian vineyard workers and winemakers abroad as immigrants. Those that stayed behind replanted with hearty clones of Sangiovese and Trebbiano. 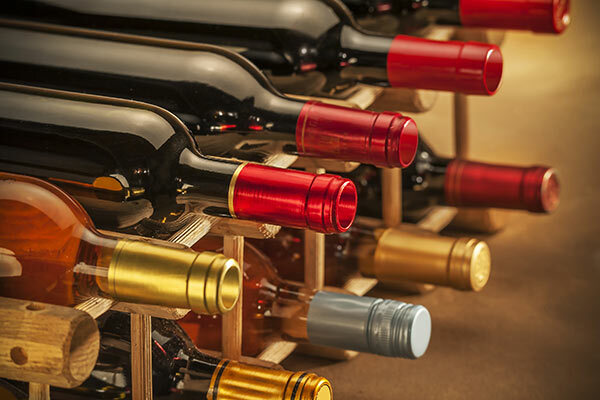 World War II brought other problems including a world wine market looking for cheap, easy drinking wines. By the late 20th century, Chianti was associated with basic mass-marketed wines wrapped in a straw basket, called fiasco. In 1967, the government established the DOC (Denominazione di origine controllata) regulations for the production of Chianti. 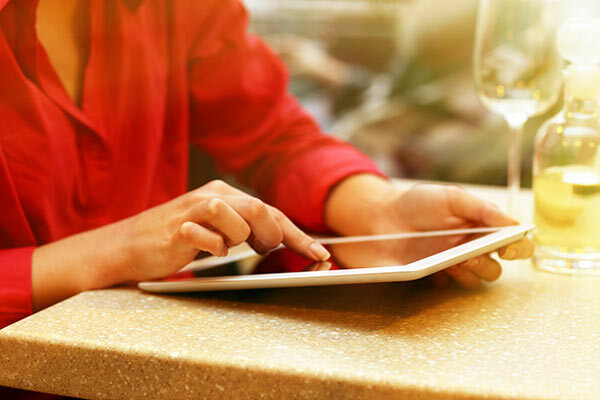 However, around the same time, a group of ambitious producers began working outside the boundaries of the DOC regulations. These producers were renegades and wanted to produce a wine that did not conform the DOC standards. They made “Chianti” as they wished but were prevented from labeling under the DOC nomenclature. They sold their wines under the name vino da tavola. Despite this lower level classification, the wine grew in popularity. They began to add international varieties such as Cabernet Sauvignon or Merlot. The DOC classification was upgraded to DOCG in 1984 which added a guarantee of place and quality to the mix. The marchese Piero Antinori was one of the first to create a "Chianti-style" wine that ignored the DOC regulations, releasing a 1971 Sangiovese-Cabernet Sauvignon blend known as Tignanello in 1978. The ever increasing popularity of these wines encouraged the government to reconsider the regulations and allow some of the vino da tavola wines to be labeled as Chianti. 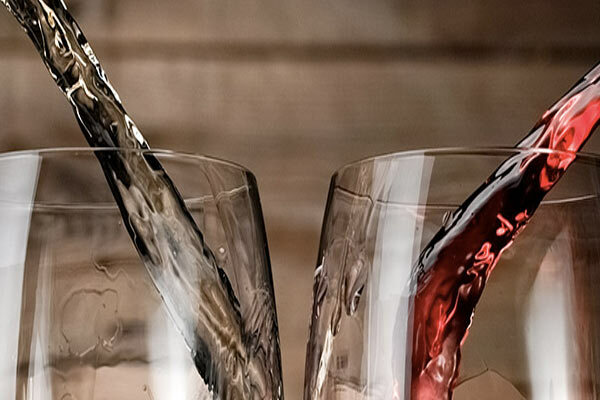 The evolution of these “international styled” wines developed into the term “Super Tuscans.” Today, these Super Tuscans are entitled to the DOC Bolgheri or the generic IGT label and, are among the most sought after wines in the world. These innovations have lead to higher ratings and price increases for DOCG Chiantis with many matching the prices of premium Super Tuscans. Listen carefully, can you hear the roar of the black rooster. 800,000 hectolitres of Chianti are produced. 7,200 hectares (17,290 acres) of vineyards entered on the DOCG Register for the production of Chianti Classico. 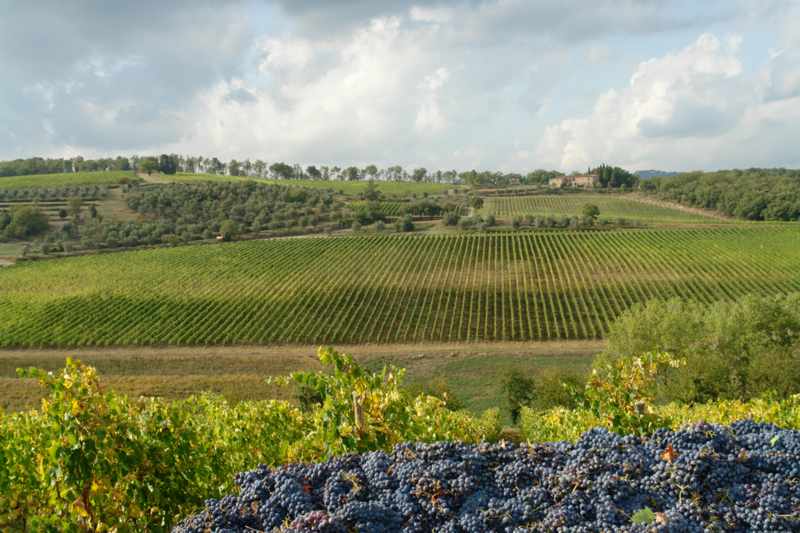 The Chianti Classico region is one of the most important appellations in Italy. The classic red grape of the region is the Sangiovese. 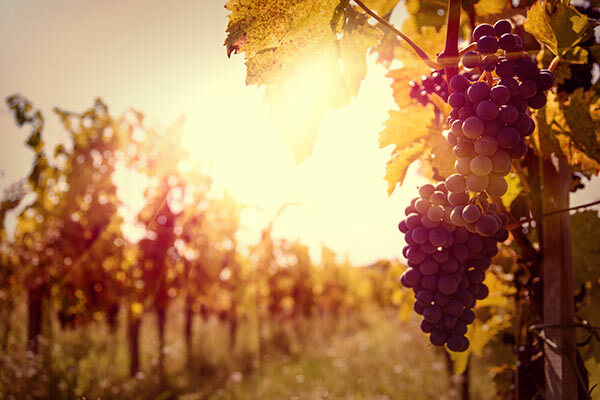 Some famous white grapes for Tuscany include the Vernaccia di S. Gimignano, Trebbiano, and Moscato. Cabernet, Merlot and other red grapes blend well with the Sangiovese. The three top importers are Germany, the UK, and the US, respectiively.